At DANCE ON US we understand the importance of loving and caring for the instrument that enables us to enjoy dance and fitness – our bodies… more specifically our legs, knees, ankles and feet! As such, DANCE ON US boasts beautiful high quality teak timber sprung floors. Our studios are also fully equipped with full-length mirrors, ballet bars and professional audio systems. 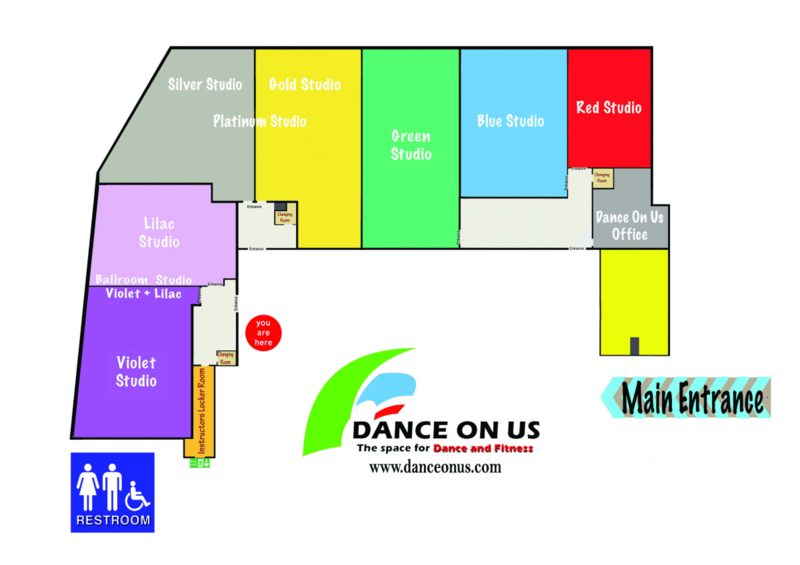 DANCE ON US offers affordable studio rental rates, plush surroundings and is located right in the heart of the city to meet a variety of dance and fitness needs. We have 8 spacious studios catering to different needs and class sizes. Our Studios are available for booking as early as 8am, and last booking can be flexible. The Building has central Aircondition, which is turned off at 10pm. Wall-hung fans are available for bookings past 10pm. The studios can be rented either on an ad-hoc basis (for last minute rehearsals/extra sessions required for a performance or exam) or on a longer-term basis (regular dance classes or workout sessions). Simply go online to check for studio availabilities and make a booking. You can also download our mobileapp to make a studio bookings. If you need any assistance, you may also call DANCE ON US (Tel: 6737-4466 or 98382877 / 96600093) for bookings. For more information on hiring the studios, click here! One instructor to one student. One instructor to two students. This offer is only available when the smallest studio is not available. You can only book whichever studio is available. If you have any questions, please call 6737-4466 or 98382877 for clarifications! All hirers need to sign a Hirers' Agreement.